My family loves slushies! A make-at-home version is so tasty and easy and, with some chopped watermelon stored in the freezer, can be ready at a moment’s notice. The all-natural sweetness is an added bonus. As an aside, the watermelon tea towel in the corner of the photo was given to me by my childhood friend, Kathy, at my bridal shower 19 years ago. It is well worn, and I now use it sparingly to “save” it. Kathy’s family always had an extensive watermelon collection and, to this day, I associate all things watermelon with Kathy. Her family is from Greece, and their last name is Greek for the word “watermelon!” How cool is that? I like these slushies with the flavor of coconut water. My kids prefer pineapple or white grape juice. Choose what sounds appealing to you. For an adult version, a little Malibu rum or vodka is a fun twist. Place half of the watermelon in the blender with about 2 cups of the liquid and blend. Add the remaining watermelon and blend until smooth. Add the remaining 1/4 cup liquid to reach your preferred consistency. 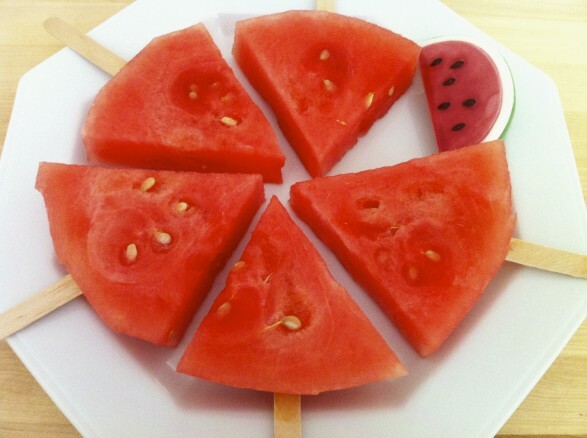 And one more idea: Simply cut watermelon into slices and remove the rind. 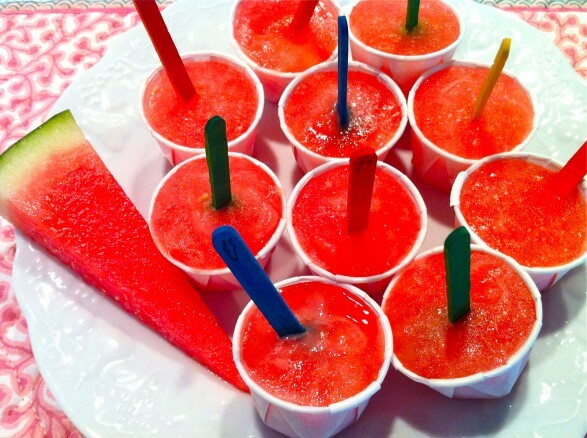 Insert popsicle stick and freeze for a refreshing, healthy treat with lots of kid appeal! It’s a no-sugar slushy we can feel good about! 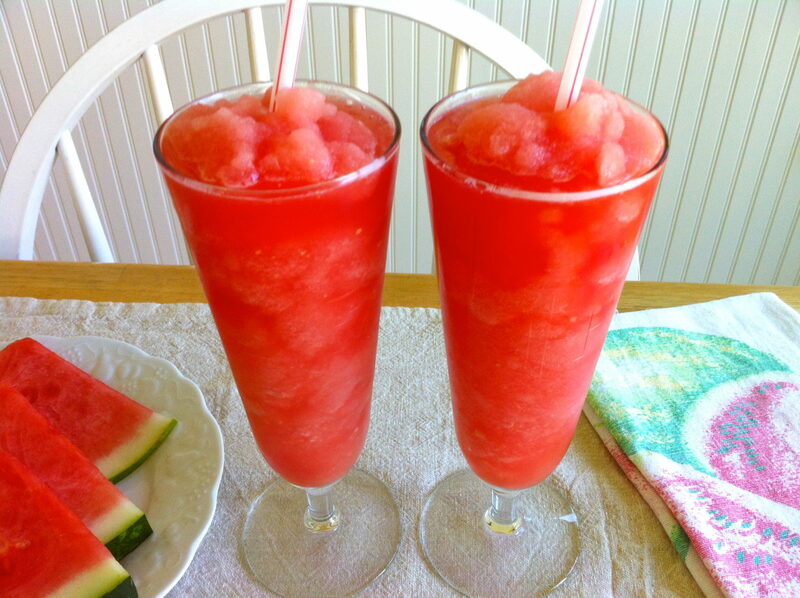 We will just love your Watermelon Slushy. Thank you so much for sharing your awesome recipe with Full Plate Thursday. Hope you are having a great weekend and come back soon! Thank you very much…what an honor! Thank you for the kind words, Brigette!